Monday night was the tale of two debates: the one President Barack Obama won and the one Gov. Mitt Romney threw. 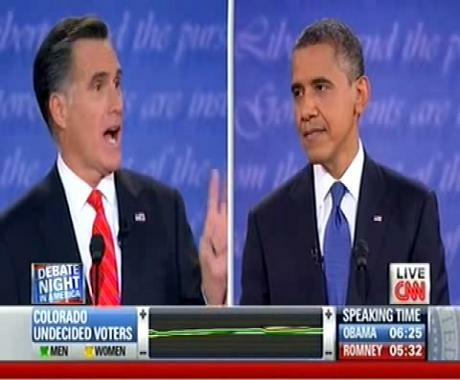 It was by far the most tactical of the three exchanges and, strategically, Romney prevailed. That is, he did what he needed to do to keep the race about the economy in its final days — and in that he was brilliant. In a move no one could have predicted, Romney virtually conceded the foreign policy portion of the debate to the president, save that about military spending and general U.S. posture in the world, while landing body punches to the president on the economy where he could. I have to admit, it took me awhile to catch on to what Romney was up to. Like so many others, I had expected the Sept. 11 Benghazi consulate attack to be the main event. But that topic was over and done with in the opening minute, with nary a peep from Romney about the president’s handling of the matter. And then came the series of Romney agreements with the president on Iranian sanctions, the withdrawal timetable from Afghanistan, the decision to back the protesters in Egypt, and nonmilitary intervention in Syria. Indeed, 30 minutes into the debate, I feared this might forever be labeled the “me too” debate. But in time, Romney’s strategy began to emerge. The formerMassachusetts governor clearly decided to give the president yardage to prevent the big score — and to ensure that the last two weeks of the campaign would be spent on nothing but the economy, which is what Americans care about most. That must have taken enormous self-discipline. Romney praised the president where appropriate, while demonstrating a strong and essential understanding of foreign policy. He agreed with the president on military restraint, preventing the Democrat from drawing a sharp contrast with him on their thresholds for war. In fact, he allowed the president to draw no meaningful distinctions with him whatsoever. Obama was certainly at the top of his game. Monday night was the best of his three debate performances. The commander in chief, with the advantages of his position, showed a strong and fluid grasp of world affairs and, as always, presented his case forcefully and intelligently. It was also Obama’s most aggressive performance. His mannerisms, shown via split screen while Romney spoke, varied between grammar school staring contest contestant to “Jurassic Park” velociraptor. In either case, it was better than the downcast eyes he showed in his first debate. But did you notice Obama’s posture? It was that of a challenger, while Romney projected the image of a candidate protecting a lead. Romney took no risks, while the president struggled to land a haymaker and create news. National polls show the margin of this race to be razor thin, but on Monday, the president appeared in a need of a big moment to reverse Romney’s momentum, and he never got it. Romney played a game of keepaway, punctuated with jabs. It’s easy to declare Obama the winner of the Florida debate based on his strong performance — many pundits did. But there’s always more going on in these things than meets the eye. The rest of this column is available at Newsday. Thanks for reading! If the debate went on any loner, I’m almost positive that Romney would have supported and postured to back Obama in the upcoming Presidential Campaign. Romney only showed he was willing to say anything, at any time to secure whomever he could, with whatever he could. “Flipping”…doesn’t even begin to describe what he has done throughout this campaign of “nothingness”. I can’t even figure out what he wants to do, and how he wants to do it, except for reversing Roe v Wade. That…he has his sights on and has been forthcoming about through his entire run at the Presidency. Everything else…an amature way out of his depths.